Rediff has launched a realtime news search service announced as Rediff RealTime News(Source : Pluggin.According to the report, around 35,000 Indian and global news websites are being crawled by Rediff and search results also include Rediff news articles published since 2002. 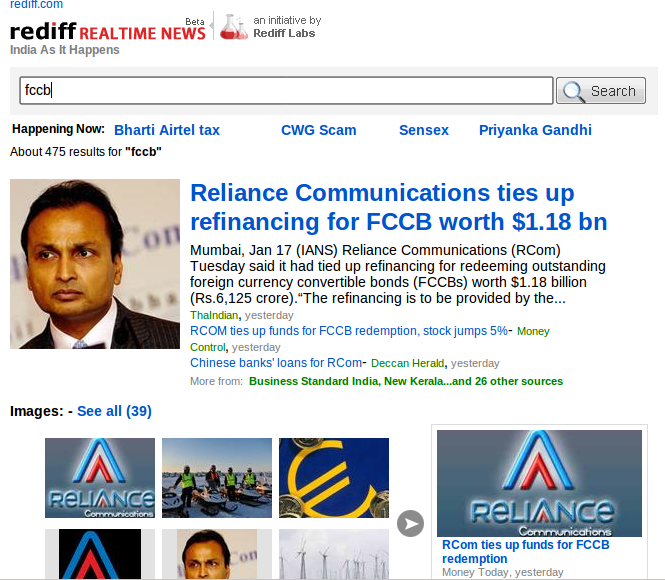 Rediff RealTime News is much like Google News when considering the concept, but provides a much better experience. Rediff RealTime News search implements the much acclaimed Instant search which provides latest & relevant results “as you type“. It also comes with predictive search technology. Though the basic Google search comes with predictive & instant search features, the Google News section is devoid of both these features. 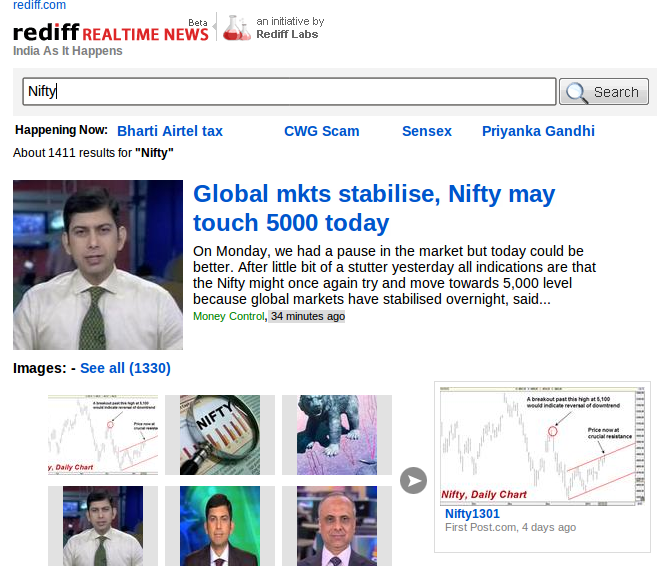 Rediff has officially confirmed that RealTime News is open for public but will remain in beta.